Vice Admiral Verma had the option of filing a complaint with the Defence Minister. He could still move court if he wasn't satisfied with how his plaint was handled. 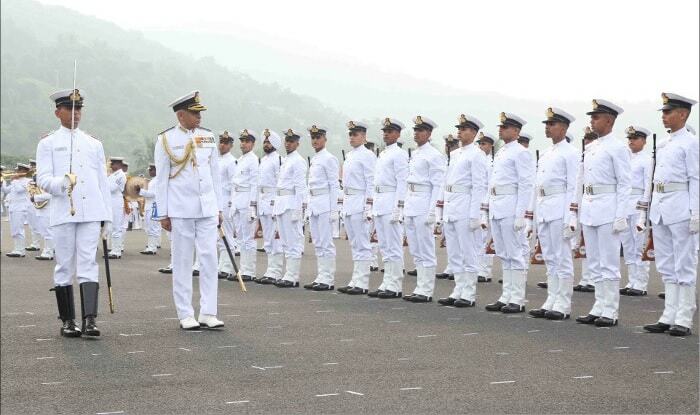 Chief of Naval Staff, Admiral Sunil Lanba reviews the passing out parade. New Delhi: Vice Admiral Bimal Verma has withdrawn his petition challenging his supersession for the post of Navy chief. Verma’s decision followed the Armed Forces Tribunal asked him to first approach the Ministry of Defence for redress of his grievance. As per rules, Vice Admiral Verma had the option of filing a complaint with the Defence Minister before taking the legal recourse. He had approached the tribunal challenging the appointment of Vice Admiral Karambir Singh as the next Navy chief replacing Admiral Sunil Lanba. Verma can approach the court if he is not satisfied with the way his complaint is addressed by the Defence Ministry. The court asked the petitioner why the option of approaching the Ministry was not availed. When the counsel said they were of the view that it was outside their purview, the court gave them the benefit of doubt and allowed the petitioner to withdraw the plea. Vice Admiral Verma is senior to Vice Admiral Karambir Singh and was among the contenders for the top post. Besides Verma, the other contenders for the Navy Chief post included Vice Chief of Naval Staff Vice Admiral G Ashok Kumar, FOC-in-C of Western Naval Command Vice Admiral Ajit Kumar and FOC-in-C of Southern Naval Command Vice Admiral Anil Kumar Chawla, a source told PTI.